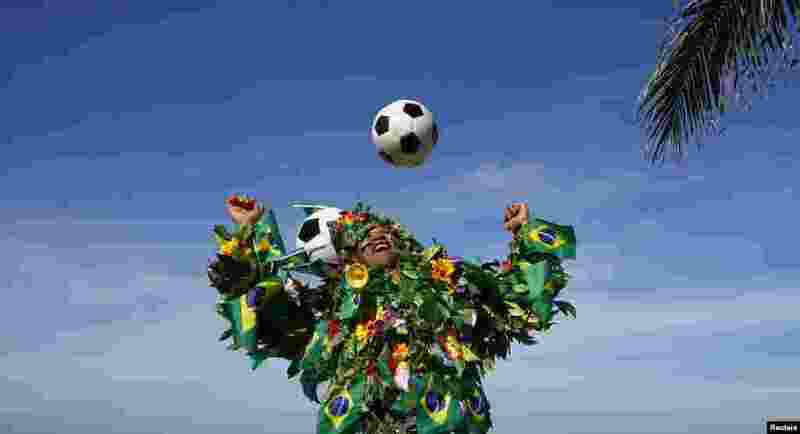 ۱ A Brazilian football fan plays with a soccer ball on a beach in Rio de Janeiro. The 2014 World Cup starts in Brazil on June 12, 2014. 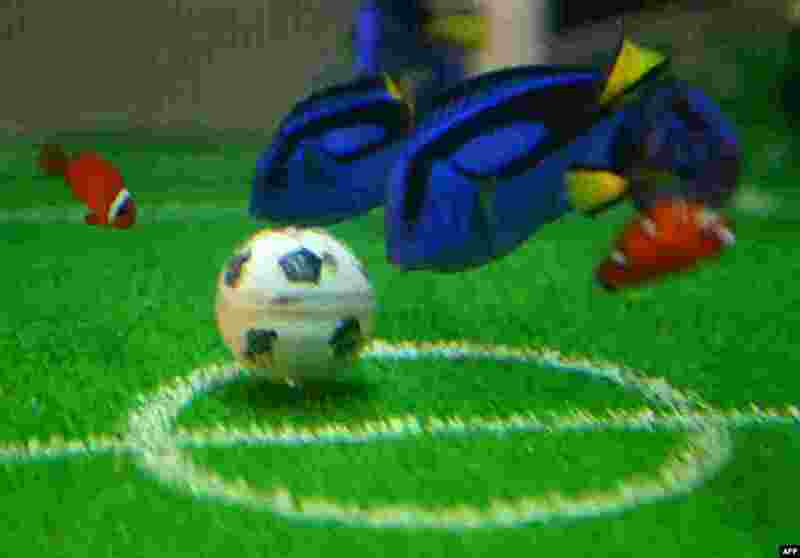 ۲ Blue tang and coris gaimard (orange fish) take food from a bait-packed ball in a fishtank designed to resemble a football pitch at the Hakkeijima Sea Paradise aquarium in Yokohama, suburban Tokyo, Japan, as part of a new attraction which will be displayed until June 29 during the 2014 FIFA World Cup. ۳ Paratroopers are dropped near the Normandy village of Sainte Mere Eglise, western France, during commemorations of the 70 anniversary of the D-Day landing. 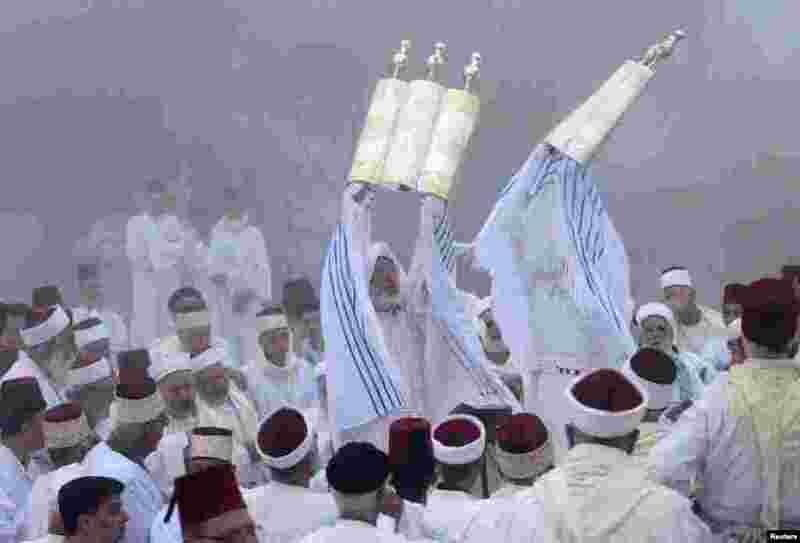 ۴ Members of the Samaritan hold up Torah scrolls during a traditional pilgrimage marking the holiday of Shavuot, atop Mount Gerizim near the West Bank city of Nablus. The Samaritans, who trace their roots to the biblical Kingdom of Israel in what is now the northern occupied West Bank, observe religious practices similar to those of Judaism. 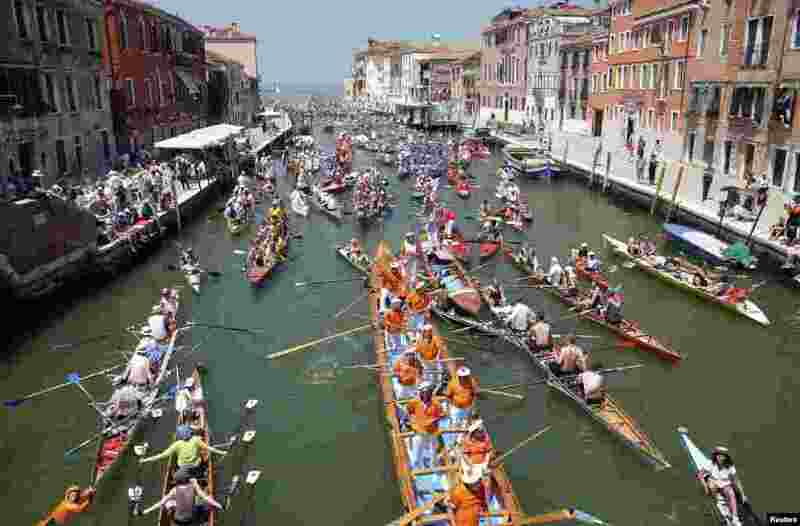 ۵ Rowers arrive in the Gran Canal as they take part in the Vogalonga, or Long Row, in the Venice lagoon, Italy. ۶ Spain's Rafael Nadal holds the trophy after winning the final of the French Open tennis tournament against Serbia's Novak Djokovic at Roland Garros stadium, in Paris. Nadal won in four sets (3-6, 7-5, 6-2, 6-4). 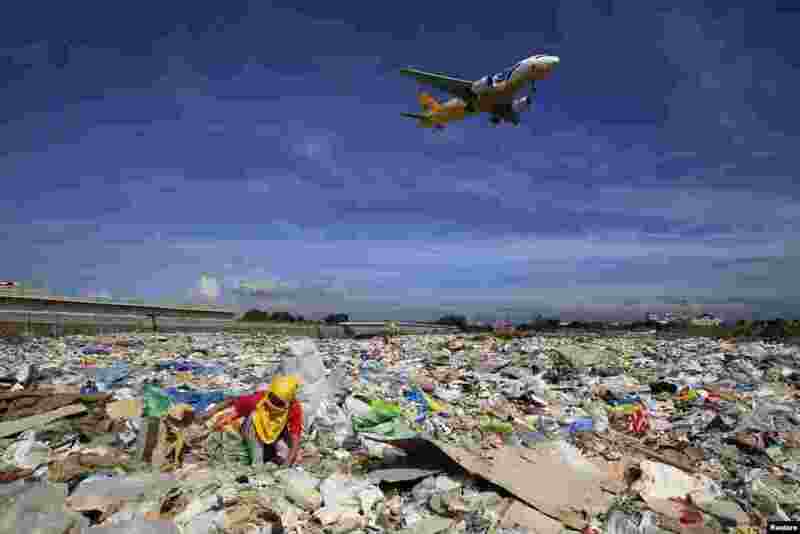 ۷ An aircraft flies overhead as a person rummages for recyclables at a garbage dumpsite in Paranaque city, metro Manila, Philippines. 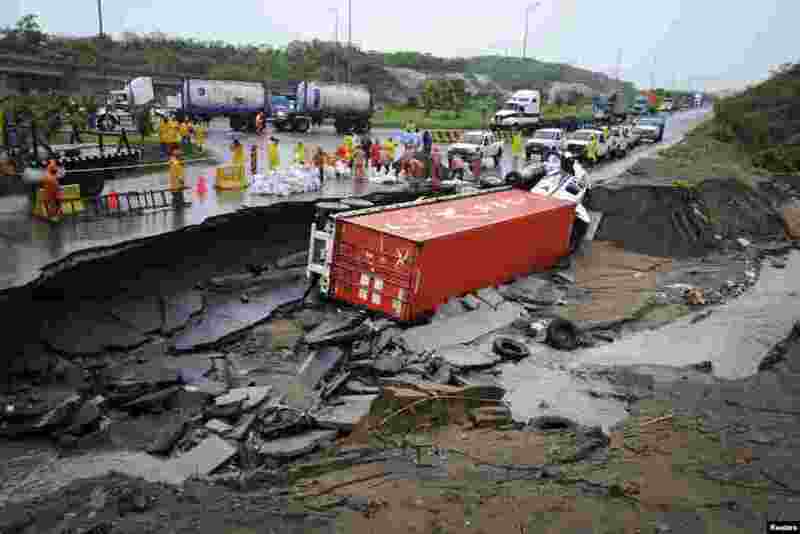 ۸ Emergency responders stand near an overturned truck after a road was washed away by floodwaters in Boca del Rio, on the outskirts of Veracruz, Mexico, June 7, 2014.